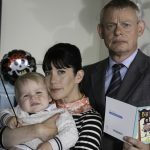 Whether you are in the UK and have a 2013 Doc Martin season 6 countdown calendar, in the States and are eagerly awaiting the premiere of series 5 or you’re at any point in-between, we’ve found a little therapy session for those in the Doc Martin Separation Anxiety Support Group. Individuals currently suffering from either (or both) Sherlock or Downton Abbey separation anxiety will know immediately of what I speak. It’s a day-to-day struggle, but you have a lot of company right there with you. Cruising around the net, we found the website of Sue DiCicco. 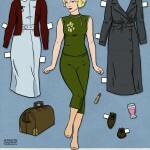 An obvious Doc Martin fan, Sue has created a few brilliant Doc Martin series paper dolls. 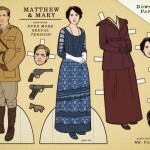 Looking at ‘The Doc’s’ paper doll kit, you have endless options with not only House Call Doc and Big Date Doc, but you have Fantasy Doc also. For those that are feeling a bit adventurous or with a heightened bit of anxiety, Sue has also created a set for Bert and Louisa also. Serious series fans will want to print out the hi-res .pdf versions of The Doc, Louisa and Bert as soon as possible and create your own personal Portwenn. If we’re lucky, Al, Pauline and Portwenn’s resident pharmacist, Mrs. Tishell (with matching neck brace), won’t be far behind. 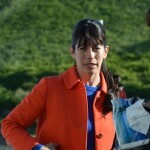 Print ’em out, mix and match, take a deep breath and before you know it, it will be 2013 and time for Doc Martin, series 6. Enjoy. Just been to the town﻿ where Doc Martin is filmed. Everything is there! However, the school was a hotel and the pub’s entrance was not where it is on TV.